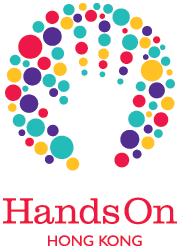 HandsOn Hong Kong seeks to recruit the best and brightest to help us achieve our mission and vision for Hong Kong. We are looking for professionals who have a passion for particular issues or making a difference in the community. We believe in nurturing talent and providing opportunities from within as much as possible, but also look for new people to join our committed team. If you have energy, drive and a keen interest in serving the community, then we encourage you to review our current openings and send us your CV. Please also consider joining us as volunteer leader.